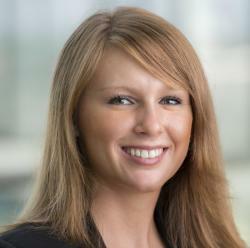 Lisa works in the Talent Acquisition department at thyssenkrupp Management Consulting. Before she started at TKMC she worked in a Big-Four-Company. She studied business psychology in Cologne. In her free time she likes football, good food and the German mountains. Indescribable heat, endless skyscrapers, an impressive modern world – that’s what Dubai describes best! And then, there is thyssenkrupp – a historic German company. Steel and elevators is what mostly everyone knows from us. But we are so much more! In August Helen Dietrich and Alexander Bose, a TKMC-Consultant and a Principal, had the pleasure to travel to Dubai for six weeks to support the Head of Strategy, Markets and Development MEA, a TKMC Alumni for preparing a regular regional strategy meeting. This meant, of course, going beyond the obvious data analysis of primary target markets, sales development and forecasts and deep diving into country and technology specific opportunities. This way the project scope was quite broad and provided a large range of insights for the team. They worked together with the colleagues of the Strategy, Markets and Development-Team of Dubai, Johannesburg and Istanbul and they even had the chance to get to know them in person as they all came to Dubai for an intense week of workshops and preparation work. For both of them it was a great experience being part of such an international team and listening to exciting personal stories related to the region. Additionally, they were lucky to work in the Dubai office as it is one of the most modern offices thyssenkrupp has! On the weekends, they explored the city with its amazing architecture and its attractions – for example the Burj Khalifa (the highest skyscraper of the world), the indoor ski-run in the mall of the emirates, the traditional markets or the desert landscape. All in all we carry out consulting projects throughout the entire Group. Wherever thyssenkrupp is, we are too! Our project teams therefore have both national and international project locations. In recent years, our consultants have worked in the USA, South America, Singapore, Australia and many different countries in Europe. That sounds great to you? Then join thyssenkrupp Management Consulting! TKMC – Who we are? As an internal management consultancy with around 70 employees, our goal is to make thyssenkrupp better – together with our clients in the Group. At a time when the world is becoming even faster, more dynamic and more complex, we support the regional and global realignment of the Group in the areas of Performance, Markets & Strategy, Transformation & Execution and Digitization. thyssenkrupp is currently undergoing a fundamental change – perhaps one of the most exciting challenges facing a DAX30 company, which we are actively shaping. For whom we are looking? For TKMC we are looking for top talents who stand out from the crowd through their performance and convincing personality. You are studying business administration or industrial engineering and have already gained initial experience in consulting through internships? You also have experience abroad and are an open personality? We could be the perfect match! Combine consulting with industrial diversity and receive valuable tools for your future career! Drive the realignment of thyssenkrupp, a company with 158,000 employees and more than 20 business units, forward in your daily project work and become part of our team! You want to get to know us? Let’s talk at the FS Career Day on 7th November in Frankfurt! If you can’t wait – visit our brand new homepage.